Sergeant First Class Edwin Ruiz hails from Dunkirk, New York. He enlisted in the U.S. Army in 1982, completing Infantry Basic Combat Training and Advance Individual Training at Fort Benning, Georgia. He was assigned to Alpha Company 6th Battalion, 31st Infantry Regiment, National Training Center at Fort Irwin, California where he served as an Anti Armor Crewmember weapons platoon. In December 1983, Sgt. 1st Class Ruiz PCS to Delta Company 1st Battalion 54th Infantry Regiment as an Anti Armor Crewmember and later Arms Room NCO. In July 1985, Ruiz PCS to Delta Company 2nd Battalion 327th Infantry Regiment 101st Airborne Division as an Anti Armor Crewmember and later a Team Leader. In December 1986, he PCS to Echo Company 5th Battalion 20th Infantry Regiment Camp Casey, Korea as an Anti Armor Crewmember Squad Leader. In 1987, Sgt. 1st Class Ruiz was assigned to Delta Company 2nd Battalion 502nd Infantry Regiment 101st Airborne Division as an Anti Armor Crewmember as a squad Leader and later as a Section Leader and Platoon Sergeant. While assigned to the 2/502 Inf. Sgt. 1st Class, Ruiz was deployed in support of Operations Desert Storm and Desert Shield. In December 1992, he departed the active Army and joined the Florida Army National Guard (ANG) where he was assigned to HHB 3rd Battalion 265th Air Defense Artillery Regiment as a Combat Medic NCO. Later, Ruiz was also assigned to Alpha Battery 3rd Battalion 265th Air Defense Artillery Regiment as Platoon Sergeant for the Stinger Platoon. 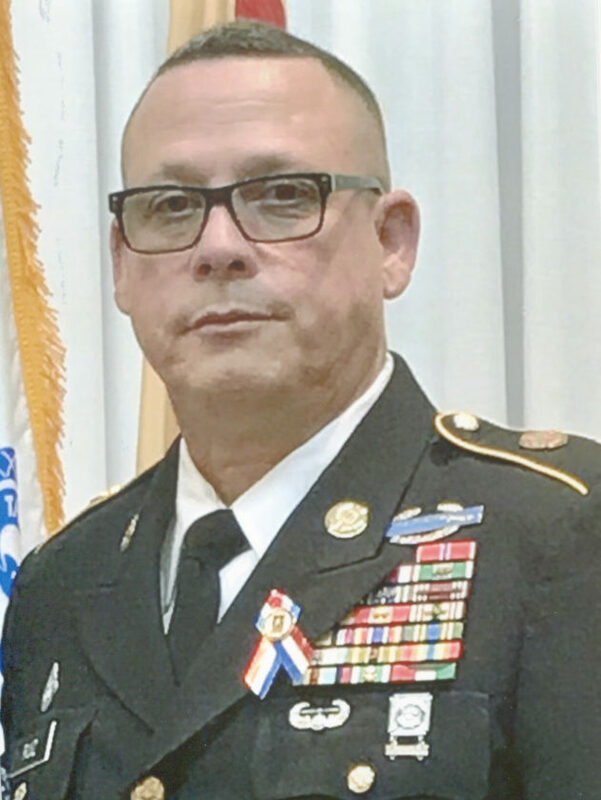 Later, Ruiz was promoted to Sergeant First Class and was assigned to Bravo Battery 3rd Battalion 265th Air Defense Artillery Regiment as Platoon Sergeant. In December 2005, Sgt. 1st Class Ruiz departed the Florida ANG and joined the Army Reserve where he was assigned to Army Reserve Medical Command in Pinellas Park, Florida as a Combat Medic NCO. While assigned to AR-MEDCOM, Ruiz was deployed in support of Operation Iraqi Freedom where he earned a Bronze Star and Meritorious Service Medal. Later in May 2006 he started his Active Guard Reserve career and was assigned as the Unit Trainer. In July 2010, Sgt. 1st Class Ruiz PCS to the 99th Regional Support Command Fort Dix, New Jersey as a Chaplain Assistant. In November 2015, he was assigned to the USAG Fort Buchanan P.R. as Garrison Chaplain Assistant. Sgt. 1st Class Ruiz’s awards include Bronze Star Medal, Meritorious Service Medal (2nd award), Army Commendation Medal (5th award), Army Achievement Medal (4th award), Good Conduct Medal (4 Knots Clasp), Army Reserve Components Achievement Medal, National Defense Service Medal with (2 Bronze Stars), South West Asia Service Medal (3 Bronze Stars) Iraq Campaign Medal (one silver and two bronze service stars), Global War on Terrorism Service Medal, Korea Defense Service Medal, Humanitarian Service Medal, Armed Forces Reserve Medal (Hourglass and M Device), NCO Professional Development Ribbon (3rd award), Army Service Ribbon, Overseas Service Ribbon (3rd award), Kuwait Liberation Medal (Kuwait), Kuwait Liberation Medal (Saudi Arabia), Combat Infantryman Badge, Expert Infantryman Badge, Air Assault Badge and Drivers Badge (wheel). Sgt. 1st Class Ruiz’ military education includes Chaplain Assistant ANCOC, Chaplain Assistant School, Avenger Crewmember Phase 1 & 2, Medical Specialist Course, Basic Noncommissioned Officer Course and Primary Leadership Development Course, Air Assault School and Infantry Basic School. Sgt. 1st Class Ruiz is the son of Carlos and Luisa Ruiz, both deceased. He and his wife Carmen have a daughter, Alexandra, and a son, Isaiah.